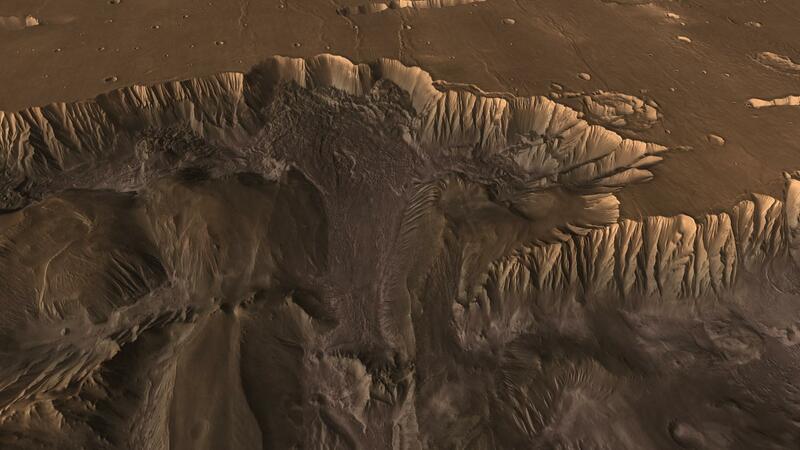 Flying through the canyons and over the ridges of Valles Marineris, viewers can experience some of the thrills that gripped explorers who pushed into unknown regions on Earth. Buried in the rocks of this magnificent Martian canyon lies a history book of Mars that scientists have just begun to open. This scene comes from "Flight Through Mariner Valley," an exciting video produced for NASA by the Jet Propulsion Laboratory. 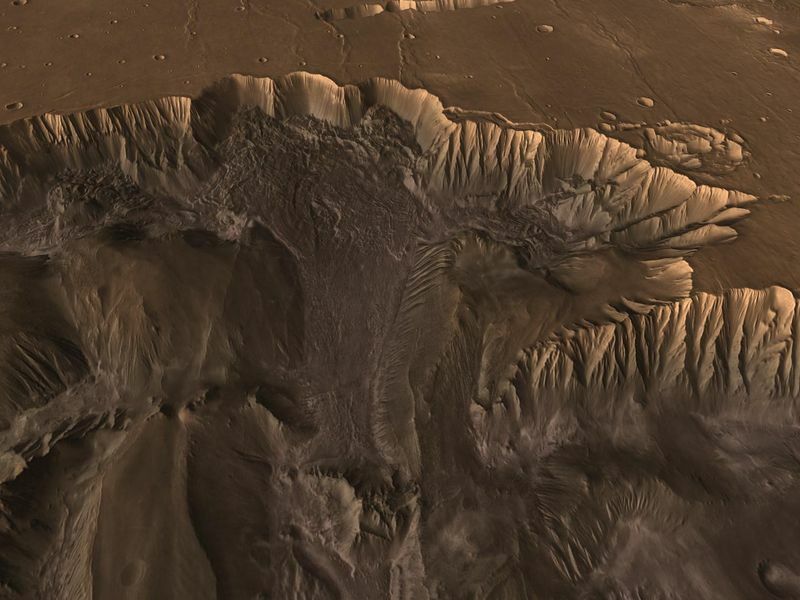 The video takes viewers on a simulated flight into Valles Marineris, where they explore its scenic wonders as their imaginary scout ship dives low over landslides and races through winding canyons. The video features high-resolution images from Arizona State University's Thermal Emission Imaging System multi-band camera on NASA's Mars Odyssey. The images, which show details as small as 300 meters (1,000 feet) across, were taken at infrared wavelengths during the Martian daytime. Scientists joined hundreds of individual frames from the camera into a giant mosaic, then colored the mosaic to approximate how Mars would appear to the human eye. 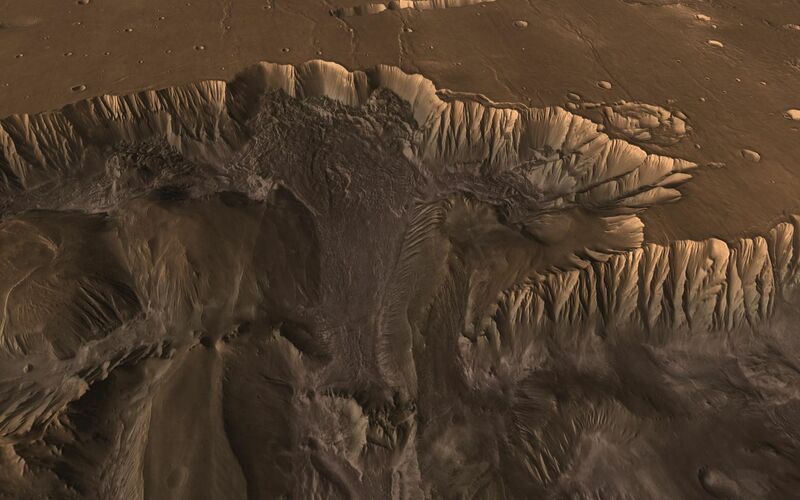 To give the mosaic depth and height, moviemakers fitted it to a computerized topographic model for Valles Marineris. 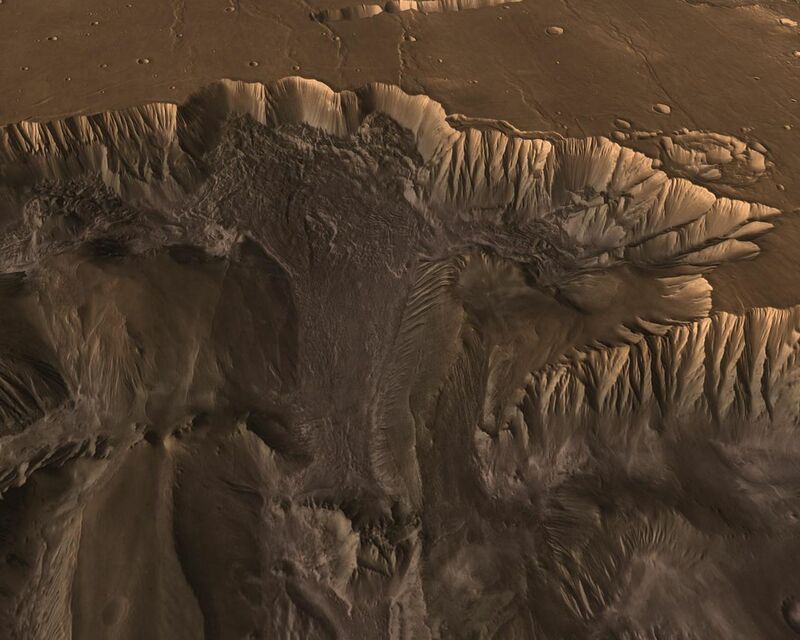 This was developed using hundreds of thousands of altitude measurements by the Mars Orbiter Laser Altimeter, an instrument on NASA's Mars Global Surveyor spacecraft.